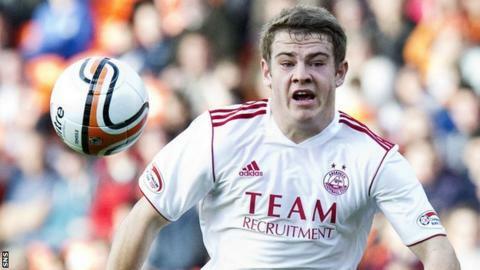 Aberdeen are confident teenage forwards Ryan Fraser and Cammy Smith will sign new deals soon. Smith and Fraser have broken into the Dons first team this season and the club would like both to play a big role in their immediate future. Chief executive Duncan Fraser will aim to conclude deals with the pair this week. Craig Brown's side currently sit just two points off the top of the Scottish Premier League. Fraser made his Aberdeen debut as a 16-year-old two years ago while Smith, who turned 17 in August, made his first-team breakthrough in April. secured the Dons a draw against Inverness last month. Both players are likely to feature in Tuesday's Scottish Communities League Cup tie against St Mirren at Pittodrie.